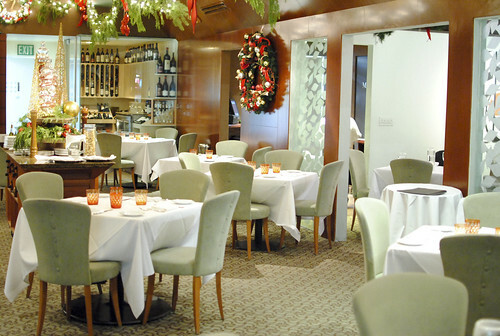 Downtown’s Drago Centro serves some of my favorite Italian food in the city. I’ve been there a number of times, but never to sister restaurant Drago in Santa Monica (one of chef-owner Celestino Drago’s first restaurants). 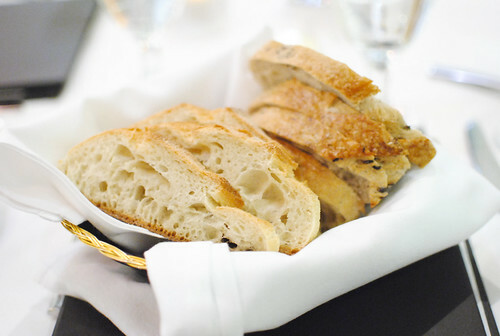 The upscale Italian menu is fairly similar at both locations, but the downtown restaurant is just much more convenient for me. However, I was invited to come dine at Drago; it would be the perfect opportunity to finally venture out to the westside outpost. 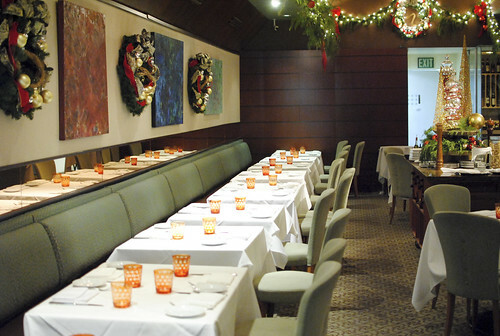 Opened in 1991, Drago has been a notable Italian restaurant in this city since opening. Celestino Drago doesn’t cook much these days, so the kitchen is in the hands of chef di cucina Evan Gotanda. He created a special tasting menu for us to sample our way through the menu. 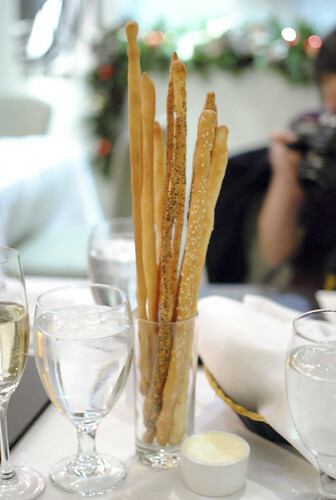 We found some starches awaiting us at the table when we arrived. 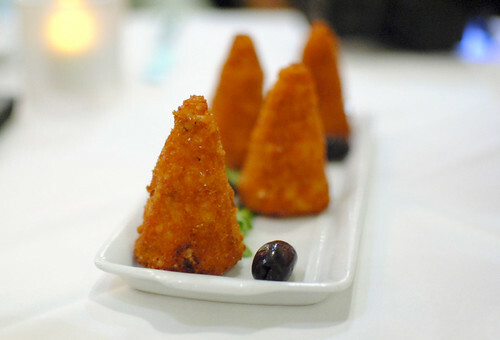 We were first served this amuse bouche, crispy rice balls (towers?) stuffed with cheese and ground beef. It was as good as it sounded, with a warm, cheesy filling and a wonderful crispy texture. 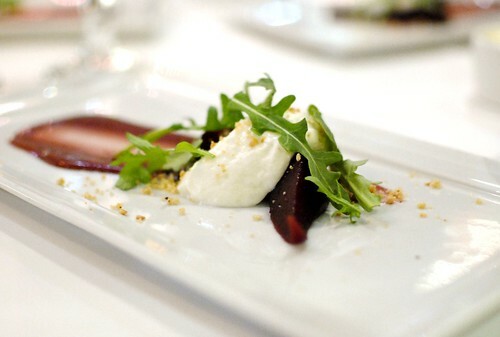 I believe the ricotta here was house-made, a creamy and sweet cheese that, with the sweet pears, paired well with the peppery arugula and red wine sauce. Bits of hazelnut provided a welcome crunch. I was eagerly awaiting some pasta dishes and this one didn’t disappoint. 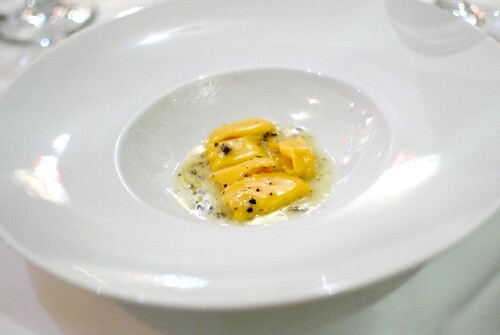 The squash provided a creamy, sweet filling while the exterior pasta still had a nice chew to it. A rich butter sauce with a subtle truffle essence completed the dish. Delicious and I wanted more! Next up was this vibrantly-colored risotto. 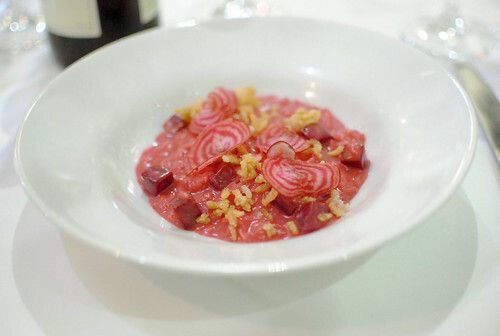 Sometimes I enjoy beets and sometimes I hate them; it was definitely the former this time. It lended a sweet dimension to the risotto, the rice of which was perfectly cooked. The addition of crispy puffed rice added some nice texture too. There was a pasta substitution here from one of Drago’s signature items – pappardelle with pheasant and morels. Instead, we were served a hand rolled cecaluccoli which had a delectable, addicting chew. 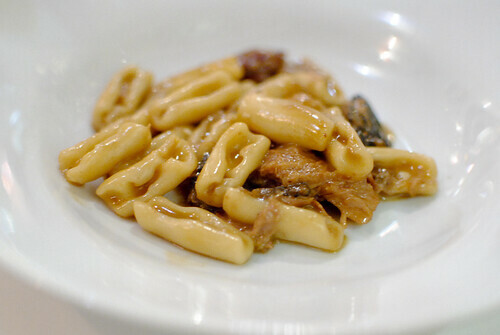 The rest of the pasta was as good as I remembered from Drago Centro – a deep, rich sauce and chunks of tender pheasant. 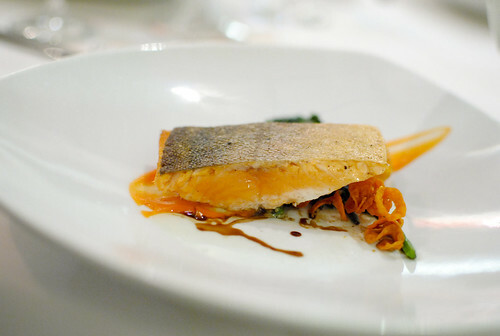 Next was this Arctic char, seared to a superb crispy skin. The flesh was moist, and I liked the addition of the earthy rapini. However, I found the rapini to be surprisingly bitter and the dish overall to be a touch salty. 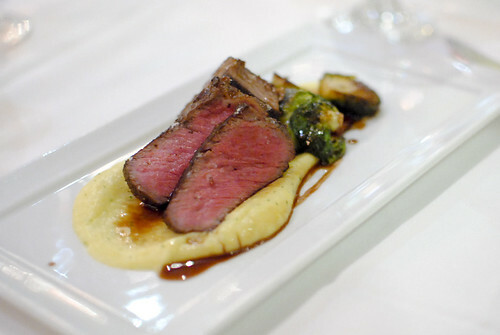 Here we also had the addition of braised short rib, completing a duo of beef. Both were cooked well, and the short rib was expectantly tender. A little bit of smoky bacon flavor came through on the brussels sprouts, while the polenta was light and creamy. Not quite as unique as the other dishes, but it was tasty. To complete the meal, we had two desserts. 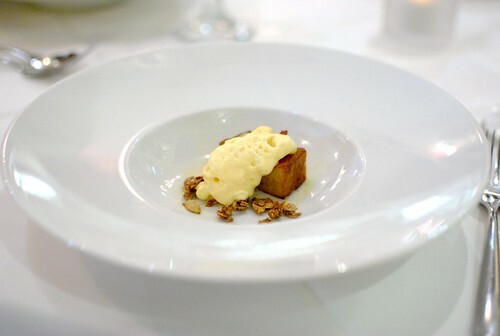 This dish had a breakfast feel to it – a warm brioche, orange (espuma), and granola. I thought the idea was fun and found the individual flavors to be pretty spot on. I really liked the texture of the granola too. 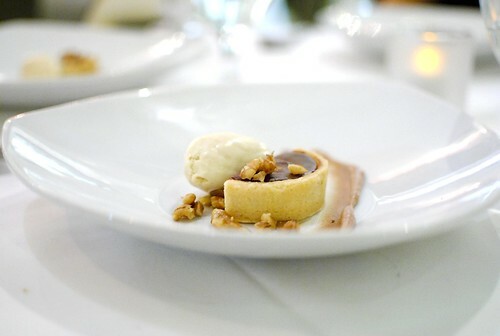 Lastly was this dessert; it was a solid chocolate tart with a creamy date puree. I enjoyed the brown sugar gelato, while some walnuts added a bit of crunch to each bite. My meal at Drago was as strong as expected. I thought the highlights were in the pasta/risotto area, which were some of the strongest I’ve had in recent memory in LA. Compared to other Italian restaurants I’ve tried in Santa Monica (Valentino, La Botte), I think I preferred Drago particularly for this reason. Thank you to Diana and Cathy for making this happen! How festive! Are you editing your photos differently lately? Colors look more saturated. Haha yeah, I’ve been playing around in Lightroom a bit. I hope that’s a good thing..
Ha! Small world. You should have him cook for you! Double D – Your photos are looking outrageously good!! It was a pleasure dining with you. Ha I learn from the best! Yes, always!